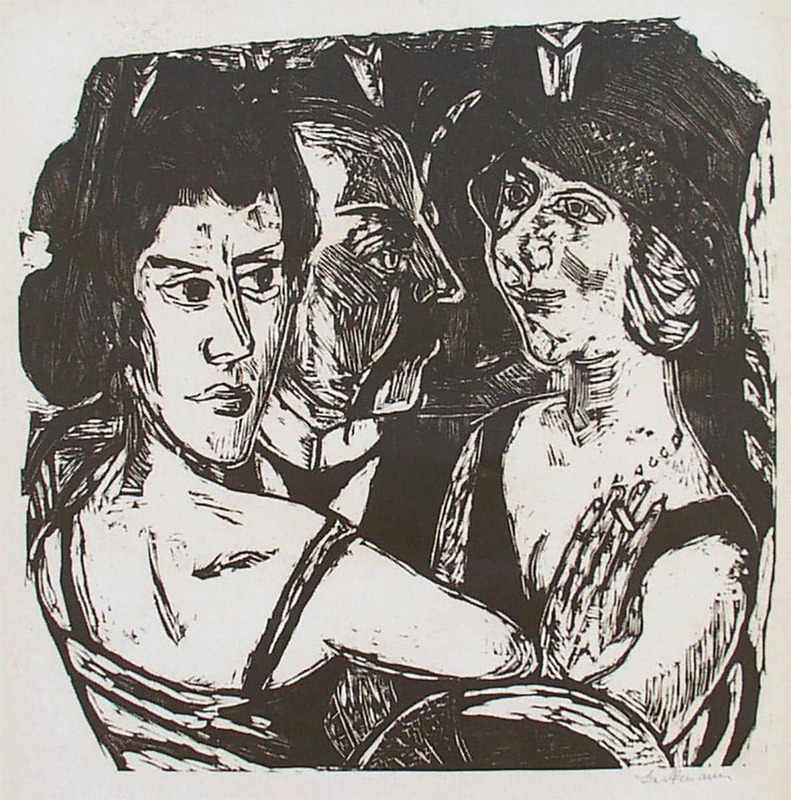 Gruppenbildnis Edenbar (Group Portrait, Eden Bar), 1923. Hofmaier 277 IIB. Woodcut on thick imitation japan paper, full margins. Published by J. B. Neumann, Berlin. Edition of 40 (there were only 5 other trial proofs). Signed and titled “Gruppenbildnis” in pencil.